My GOODNESS, I love PLR! Whoever invested the concept of licencing is a genius and I want to shake his hand. (or hers). To tell the truth, I’m one of the laziest marketers you may ever meet. That isn’t to say that I don’t do anything. I do actually get a lot done – but I’m lazy. I like to work smarter and not harder. That’s one of the major reasons why I love buying products with PLR. If you’re unfamiliar with PLR – it stands for ‘Private Label rights’. Meaning that if you own the PLR, you have the permission to completely brand and sell the products as your own. So in short, PLR = instant product. Plr is a massive shortcut to product creation. The product is already created, you can simply re-name it, call it yours and sell the crap out of it. Perfect for lazy marketers like me. Business is a numbers game. The more products you can have out there in the market place, the more income and customers you can attract. By using PLR, you can simply get more products out faster. I use plr quite extensively for a lot of my products I sell and content I give away (this article however is written by yours truly), simply because I can create more products and sell more in a shorter time. I like product creation, but I much prefer selling! My business seriously would NOT be around today if it wasn’t for good quality PLR products. I find PLR products from a bunch of sources. I find them in the WF WSO section through to receiving emails from plr vendors. Once you buy one plr product, you can usually find a lot of different plr offers because the marketers and product creators like to promote each others offers. So I love to check out all kinds of plr offers. I have a problem though. And I know others have the same problem too. That is, I buy too much PLR. We always have the intention to modify it and sell it asap but when life and other things in business get in the way, the products seem to pile up. I have to manage my time so I can set up the PLR and get the product out the door, so I can turn it into some cash instead of leaving it doing nothing on my hard-drive. 1. The product MUST be high-quality. No matter if you’re giving it away or selling it. You just can’t be flogging junk products. Of course you can and should edit and re-write any part you want to make the product as best as you can. It’s just a huge time-saver to start with quality plr. 2. The product MUST be in demand. It’s no good to sell something that people just don’t want. 3. Re-write the sales letter. I re-write sales letters myself as I know a thing or two about copywriting. If you can’t or just don’t have time, hire a copywriter. Most PLR products come with lousy sales letters that just don’t convert. A good sales letter is essential. 4. A new product graphic. Screw getting a whole new minisite design. You can splash out and get a slick new design from top to tail but you don’t need one. You can get away with a Fiverr gig for a new ecover. 5. Add bonuses to your front end offer. This is a given but bonuses increase sales like crazy. I use PLR products for bonuses too. 6. 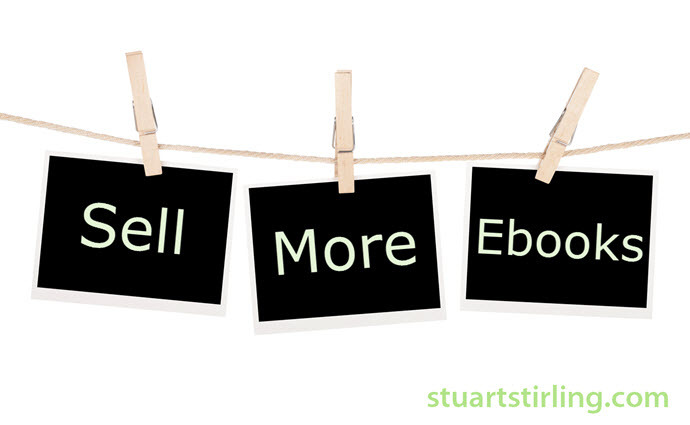 Add Upsells and Downsells to your funnel. Your upsells/downsells have to be related and provide extra on what you’re selling on the front end. A well thought-out funnel can double or triple your revenue. 7. Set it up on a shopping cart system that is easy to use. I use Zaxaa now almost exclusively after trying several different solutions. You can simply just use a plain-Jane Paypal button to take payments and deliver your download to your customer. 8. Keep pumping out products! This really is the key to building your business. The more order buttons you have out here in cyber space, the more chances you have of making sales. I keep my sniffer out for new PLR and resell rights products that I can set up or add to my funnels. Using PLR really is the lazy man’s online business. Like I mentioned in the beginning of the article, I love PLR because the products are already done, meaning I can get more products out faster. For step-by-step details on how to set up and sell your PLR products fast like I do, I recommend the PLR Paydirt video training course. So what are you waiting for? Use these steps to start pumping out and selling more products fast, the lazy way using your Plr! I do agree with you that business is a numbers game. People don’t realize its takes time to develop your products and providing them to right audience. Your steps are on point. So Stuart thanks again and have a great day.